Looking for a way to beat the heat this season? Well, here at the Mt. Airy Art Garage, we’ve got the perfect solution to overcome those dog days of summer. Throughout July and August, MAAG will offer an array of studio classes for both children and adults, which include collage, quilting, bookmaking, drawing, acting, photography, and more. Perhaps you’ve been itching to hone your digital photography skills, polish that long-lost monologue, or piece together that brilliant quilt in your mind’s eye? Perhaps you yearn to go back to a simpler time when snail mail ruled and self-bound books were a work of art? Or maybe you’re just a budding artist, between the ages of five and seven, who simply loves to draw numbers and letters? Regardless of your desire, our accomplished teachers are bound to cultivate your creativity. Whether a novice or experienced student, all will find a welcoming and supportive environment where creativity can rule. Just see for yourself on July 1st from 2-4pm at our “Meet the Teachers” sneak-peek. Plus, with classes ranging from $25-$160, now is the time to register as space is limited! To register, please send an e-mail to donna@mtairyartgarage.org with your name and class choice, and send your check (payable to the Mt. Airy Art Garage) to 11 W. Mount Airy Ave., Philadelphia PA, 19119. 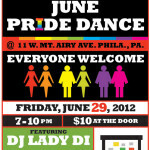 If you have any questions or concerns, please contact donna@mtairyartgarage.org or call 215.242.5074. Until then, though, browse through the below classes and let them pique your interests! Don’t spend those summer days sweltering. Instead, come to MAAG and indulge your creativity! What do you have to lose except boredom? Adults and Children over 10 (if accompanied by an adult)Paper piecing is a technique used to create intricate quilt designs without agonizing over precision. 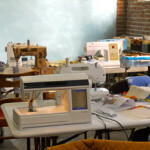 This workshop is for intermediate quilters or advanced beginners. The result of the workshop will be a small quilt that the student will finish at home after receiving all patterns and instructions in class. Adults and AdolescentsLet the owners of Profiles Studio show you how to use a consumer digital camera to create accurate and pleasing digital files of your artwork. We’ll outline our straight-forward approach to lighting and setting up a digital camera, and demonstrate how to use the basic tools in Photoshop Elements to edit the files for optimum results when submitting to shows and galleries, uploading to a website, or having promotional materials printed. 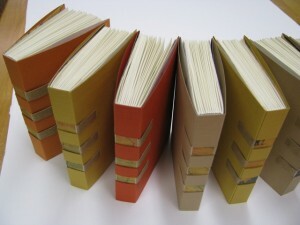 AdultsStudents will make a multi-section, supported spine blank book with an integral soft cover. 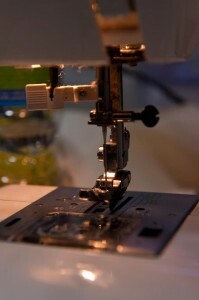 The stitching can be either visible or hidden in the completed book. Text block and cover paper will be provided. AdultsStudents will learn a variety of ways to use collage in making art that can be sent in the mail, including postcards, note cards, and decorated envelopes. We will create items that will surprise and delight their recipients. AdultsThis workshop will culminate with a performance by the class of a series of monologues written by its students. Also, we will use art as a tool to enhance our theater/acting experience. Who knows? Maybe we’ll even become the MAAG Players! 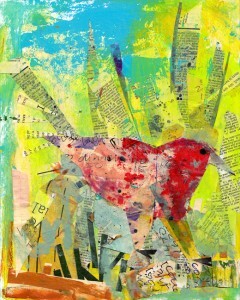 AdultsStudents will approach collage from a variety of angles, including the use of paint, constructing backgrounds, and creating collage works in four genres to include landscape, still life, abstract, and portrait. 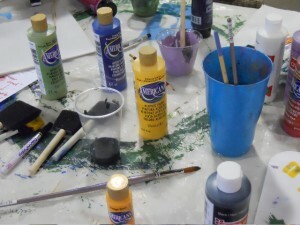 Children, Ages 5-7Students will have fun with numbers and letters through drawing, painting, collage, mixed media, mobiles, and other mediums. Using their names, homes addresses, and other important numbers and letters in their life, we’ll further our education in a fun and creative manner! Kevin Bennett has been a nature photographer since age 10, living in the Philadelphia area his entire life and in Manayunk for the last 25 years. In 2005, Kevin added a new dimension to his nature photography by working mostly from a kayak, which evolved from the decision to focus his work on the diversity, wonder, and fragility of Pennsylvania’s natural world. You can visit him at www.bennettsvignettes.com. Carol Nashleanas has been painting landscapes and portraits for 15 years. She is recently retired and enjoys working with children. Arleen Olshan, cofounder and treasurer of the Mt. Airy Art Garage, has been drawing and painting from her childhood at Fleisher Art Memorial to completing her BFA at the Pennsylvania Academy of the Fine Arts and Philadelphia College of Art (now U Arts). She is also a master leather crafter. She has shown, taught, and sold her work throughout Philadelphia especially in the Northwest section of the city. You can find out more by visiting www.arleenolshan.com. Mike and Janine Zaikowski operate Profiles Studio in Chestnut Hill, a small fine art printmaking studio. They work one-on-one with local artists and photo-graphers to create meticulously crafted giclée prints on fine art papers, canvas, and fabric, and also offer high-end scanning and archiving services. You can find them at www.profilesstudio.com.